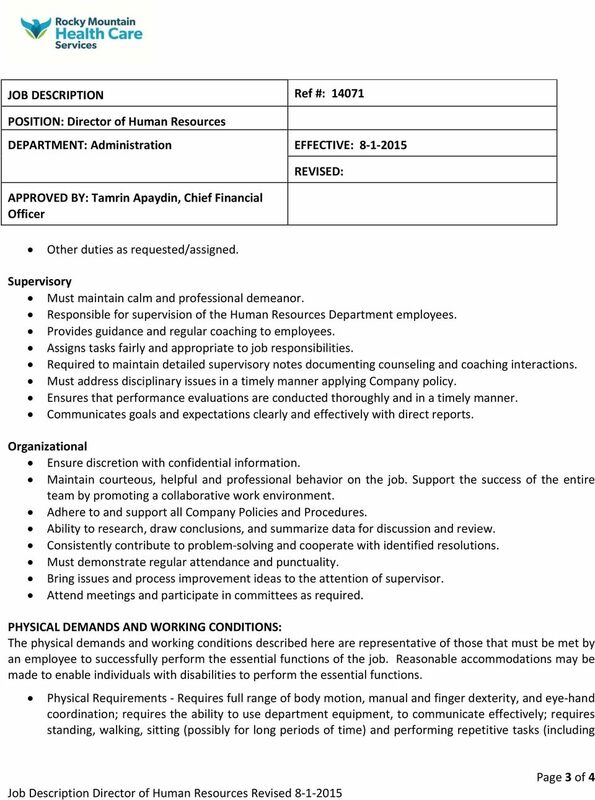 Download "DIRECTOR OF HUMAN RESOURCES"
1 DIRECTOR OF HUMAN RESOURCES Thriving non profit healthcare organization is seeking a dynamic individual for Director of Human Resources. We are a team oriented, fast paced, forward thinking organization. Rocky Mountain Health Care Services has been serving Colorado Springs for more than 40 years and currently operates 4 primary lines of business including PACE (Program Of All Inclusive Care for the Elderly), BrainCare (a continuum of care serving individuals who have experienced a brain injury), Rocky Mountain Options for Long Term Care (the single entry point for individuals applying for Medicaid services in El Paso, Park, and Teller counties) and HealthRide (coordinated transportation services for at risk populations). 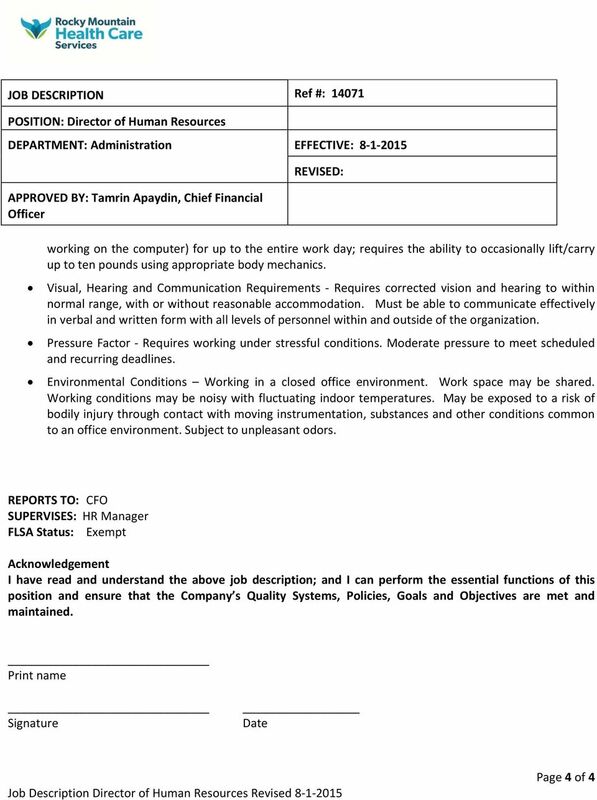 This position serves all lines of business. 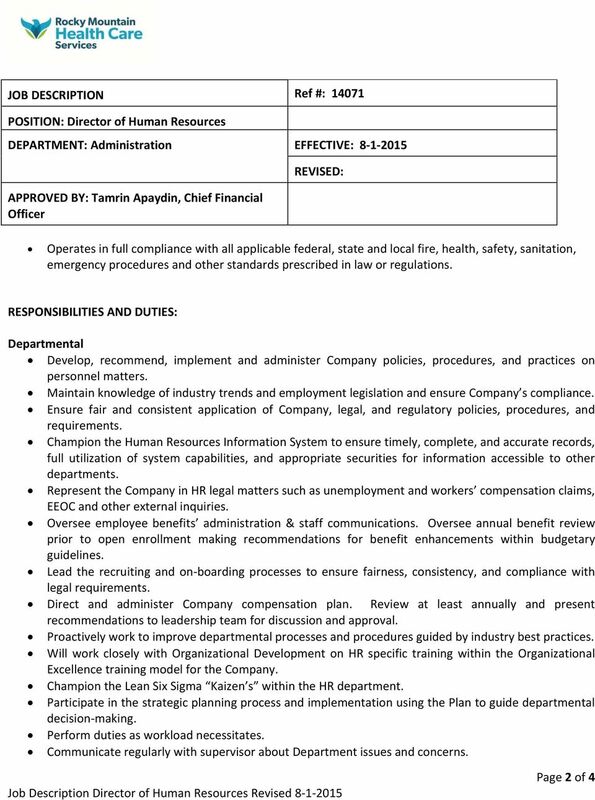 A successful individual in this role will lead the organization s human resource functions with decisiveness in matters of policy reflecting consistency and fairness, outstanding skills in organization and follow through, and a calm demeanor; one must be a relationship builder and approachable by all levels of employees. 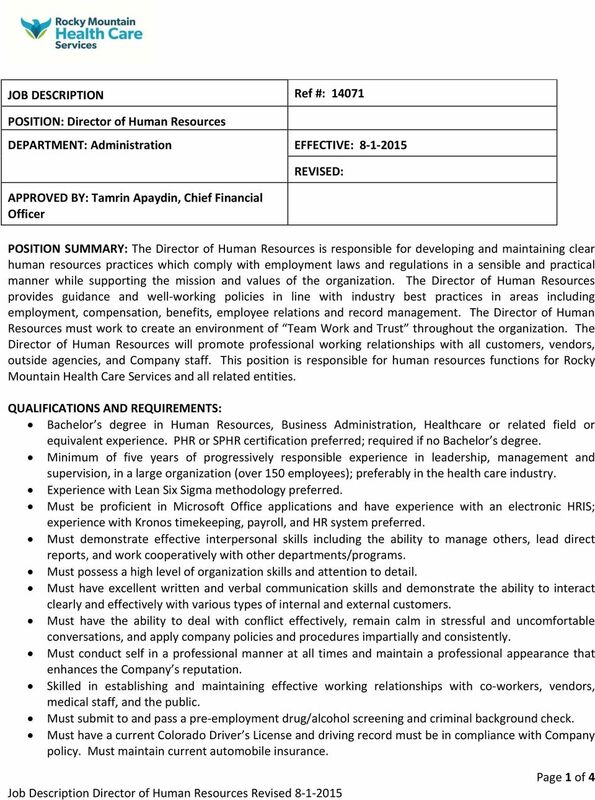 For complete position information please see the Careers page on our website Submit resume, application, and salary requirements to Rocky Mountain Health Care Services is an equal opportunity employer.